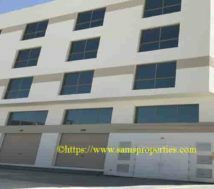 Bahrain labour accommodation near Alba Al dur Highway. Bahrain labour accommodation rent. Labour camp locates near Alba factory. That is to say that it is on the Al Dur Hwy. This large accommodation is in a quiet place and of course in an industrial area. Indeed, this workers accommodation complex has two blocks or units. Whereas one unit is with 30 large rooms. Each floor is with 10 rooms. In other words, one block is with 3 floors and 30 rooms. Each room is good enough for eight people. What is more? Each floor has one dining room | ten showers | ten toilets and a kitchen. Furthermore, each room is with thirty two square meters as well. What is the rent and payment terms? The monthly rent for an unfurnished labour camp for 222 people is Bahrain Dinar seven thousand (7000/-) per month. Indeed, furnishing with AC may have to cost more. The payments are as follows: The rent is due on every quarter. First Three months rent has to pay in advance. Along with that the balance three cheques has to pay as post date cheques. How to rent labour camp? Send the full information of your company by an email. Once agree the above terms and agency terms, it is easy to sign the agreement. The property is ready to stay with. In addition, we arrange food supply and transportation as per the request of the tenant. In conclusion, we recommend this labour camp for international companies who are in need of 450 to 500 people.